San Francisco is connected to some of the most ambitious undertakings in the history of mankind, such as the Circumnavigation of the Globe, Manifest Destiny, the Transamerican Railway, the first transatlantic phone call, and the building of the Panama-Pacific Canal, all powerful symbols of gates and the communication between two worlds. Everywhere you look you will see reminders of San Francisco’s identity as the Gateway City. The local newspapers are “The Guardian” and the “SF Gate.” There is the iconic Golden Gate Bridge, of course. The Dragon Gate at Chinatown is the only authentic Chinese gate in North America. 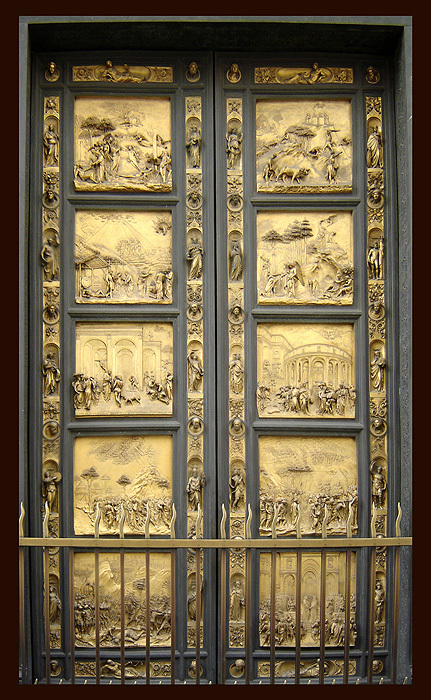 The “Gates of Paradise” doors are on the north side of Grace Cathedral, which is known as “The Gate of the Initiates.” Rodin’s “Gates of Hell” are replicated at Stanford University, where the infamous “Project Stargate” took place. There are the Presidio Gates, the Lombard Gates, the Torii Gate, the ferry gates, the toll gates, and let’s not forget the Gates of Alcatraz. The “Seven Gates of the Underworld” are uniquely expressed by the seven BART stations in the City proper.